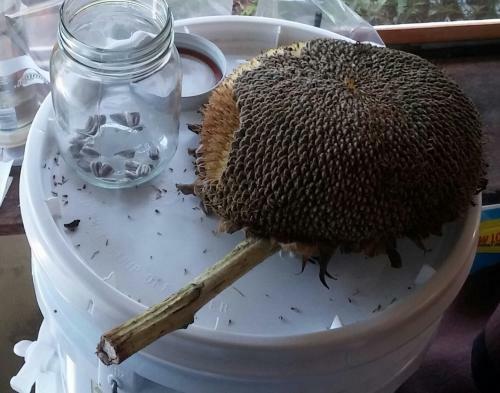 Sunflower Challenge, Sunday, 7/17/16, Anyone Interested? Thought I would post some pictures of my efforts to save the seeds from the 10 footer. 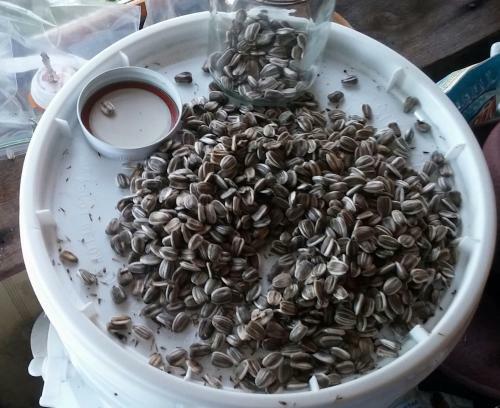 As you can see, I ended up with a full pint far of seeds. 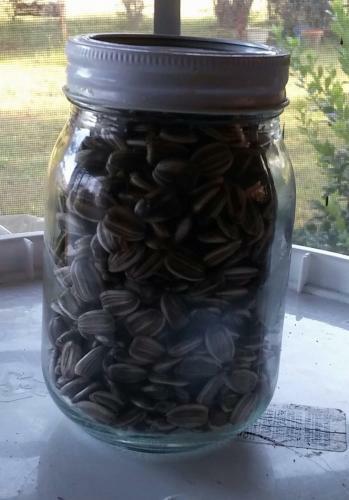 I was wondering what I was going to do with all the seeds and then I had an idea. What if I shared them and next year a few of us tried to grow them? Would anyone out there be up for the challenge? It would be fun to see how they grow elsewhere. Thanks Hank. I think I'll post it to one of the forums early next year. It might be seen by more members that way. 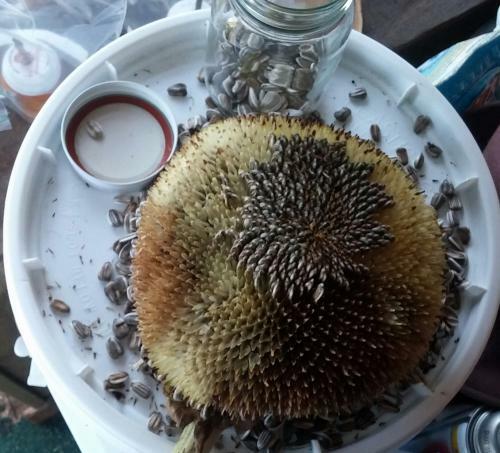 I've never had luck growing Sunflowers here. Too many field mice and chipmonks I think.